Why Is Tennis So Good For You? Physical activity is proven to extend the length and quality of your life. But can you guess which form of exercise may add the most years? Two racquet sports, tennis and badminton, are the most beneficial exercise for life extension, according to a new Danish survey of 8,700 people over 25 years. Tennis adds 9.7 years to life expectancy compared to a sedentary lifestyle. Badminton tacks on 6.2 years. The runners-up were soccer (4.7 years), cycling (3.7), swimming (3.4), jogging (3.2) and calisthenics (3.1). The least beneficial form of exercise, according to this study, is working out at the gym, which added just 1.5 years in life expectancy. Why is tennis so good for you? The researchers aren’t sure, but they have a couple of theories. First, tennis and other racquet sports are a form of interval training, which means they consist of short bursts of high-intensity activity as opposed to a protracted period of steady exertion. Interval training is currently all the rage among fitness buffs. Second, but perhaps more significant, racquet sports (and soccer) require two or more people. As a result, these games foster regular social interaction, which is proven to support the mental and physical health of older people. A long solo bike ride is healthy. A shorter weekly bike ride with a group might be healthier. 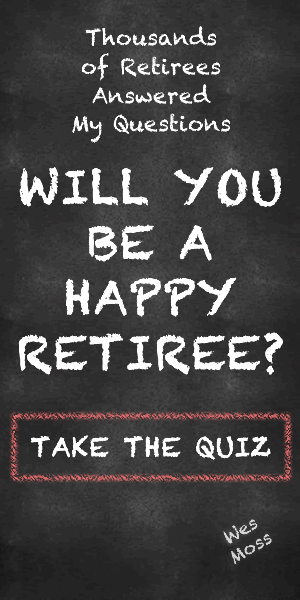 In researching my book, You Can Retire Sooner Than You Think, I discovered that the happiest retirees have 3.6 core pursuits – hobbies or activities they pursue with passion — some of which keep them engaged with other people on a regular basis. Tennis, racquetball, and pickleball all fit that bill. It’s never too late to pick up a new core pursuit, including tennis. There are lessons and leagues for every age and budget. Seriously. The United States Tennis Association (USTA) has leagues for 85-year-olds and 90-year-olds. Before you head off to practice your serve, there are a couple of things to keep in mind – about both tennis and the Danish study. While tennis does indeed offer many health benefits, the constant stopping, starting, pivoting and swinging can put a strain on a player’s knees and other joints. And that study? Well, it doesn’t actually prove that tennis is the reason tennis players live longer. Maybe the survey participants who played tennis were just healthier, more active people. But at the very least, this survey offers more proof that life is for the living; that staying active, both physically and socially, adds quality to our years – regardless of their number.